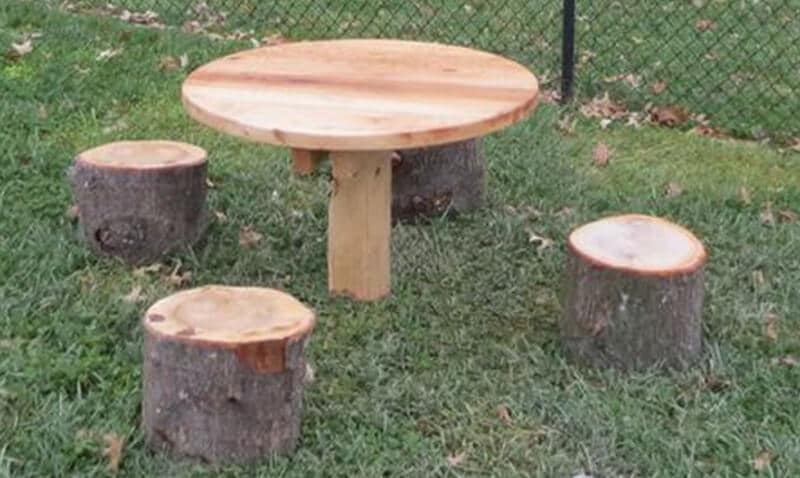 The Log Table with Stump Seats is designed to be an all natural table for your outdoor preschool classroom. The table top is made out of natural cedar and the table post is made out of a log. The 4 seats are made from tree stumps. 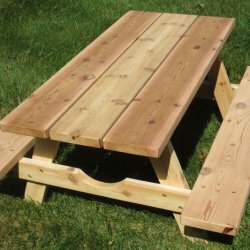 This all natural playground table is perfect for all kinds of activities. It can be used for writing activities, manipulatives, snack time, lunch or just a place to sit and observe or socialize with friends. Add the table to an outdoor kitchen area as a natural table for making mud pies or having tea parties. Add the table to a building area and use it for loose parts play. The Log Table with Stump Seats is the perfect addition to your natural playground.